New Line has set a release date for The Nun, its latest spin-off from the apparently bottomless Conjuring franchise. 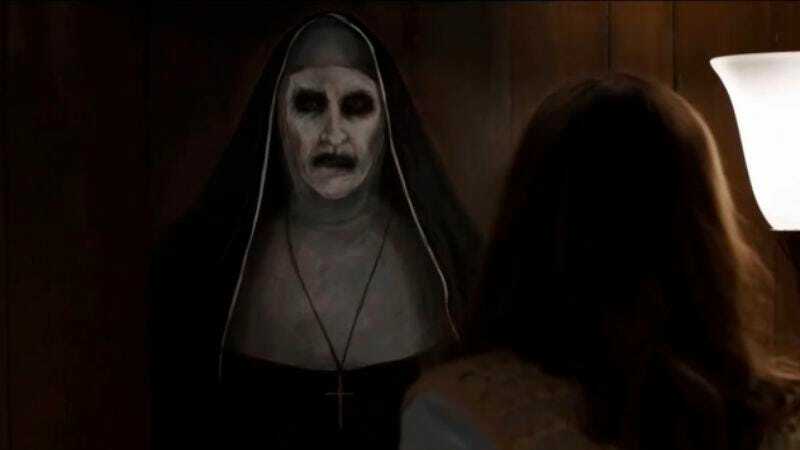 The spectral bride of Christ (or whoever) in question originally debuted in last year’s The Conjuring 2, menacing Vera Farmiga and Patrick Wilson’s paranormal investigators. Now she’ll arrive in theaters to demonically rap people’s knuckles (or send them to hell, or whatever director Corin Hardy thinks is the scariest thing for a demon nun to do) on July 13, 2018. The Nun will be the second spin-off from the Conjuring flicks; demon doll Annabelle previously got her own standalone outing in 2014.